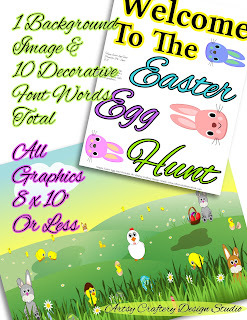 If you want to print out Easter clip art for your egg hunt party or other spring children's event, here is a low cost, economical pack for you to download. It is listed at my Printaphoria shop at Etsy. There are 49 total printable Easter eggs, rabbits, baskets and a background element on 11 digital sheets, each sheet is regular-sized 8 1/2 x 11" printout, .jpeg images in a .zip file format, at 300 dpi high resolution for crisp printing. 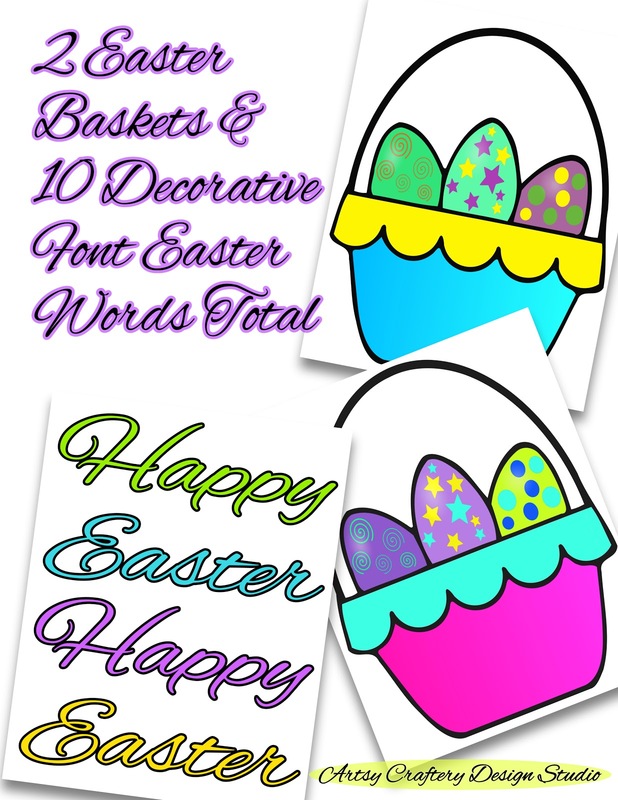 Buy Easter clip art for your bulletin board. 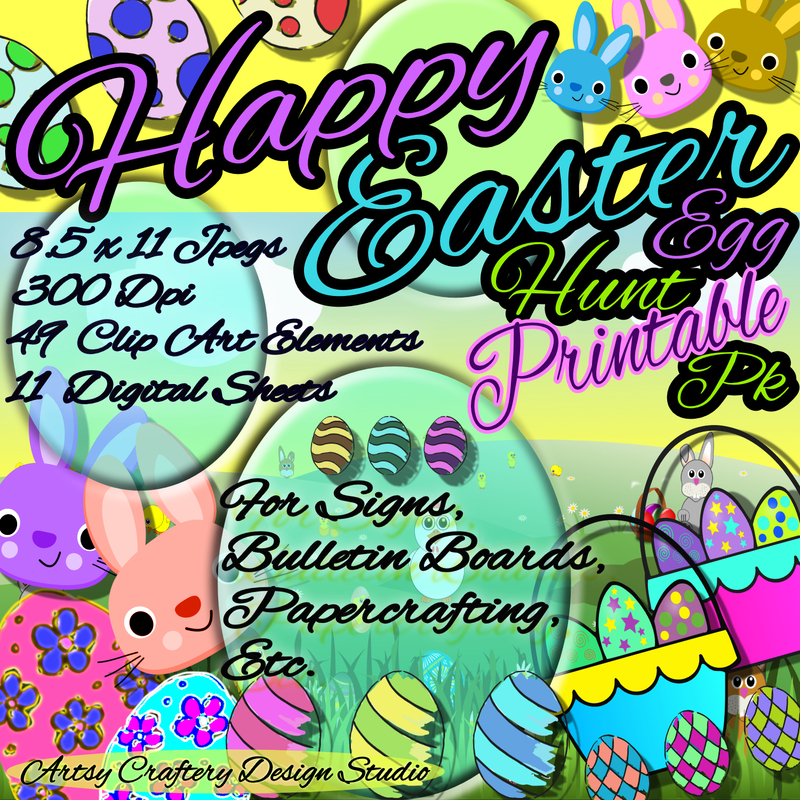 Print, cut out and use for party or egg hunt signs, on bulletin boards and in collage, mixed media, journal designs and all types of papercrafting projects. Printable Easter party clip art for your flyers. Print these high quality .jpeg files on your home/office copier. Save them to your flash drive and take it to your favorite quick copy center or printer to be printed on premium paper. Be sure to take a copy of my included copyright agreement with you in case there are any questions about the copyright. 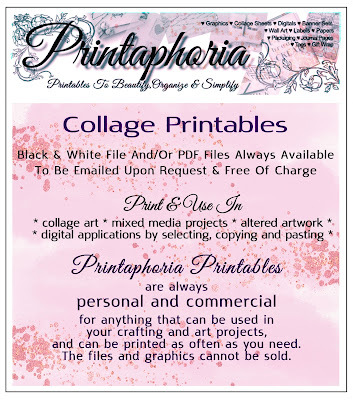 Printaphoria printables always personal and commercial! 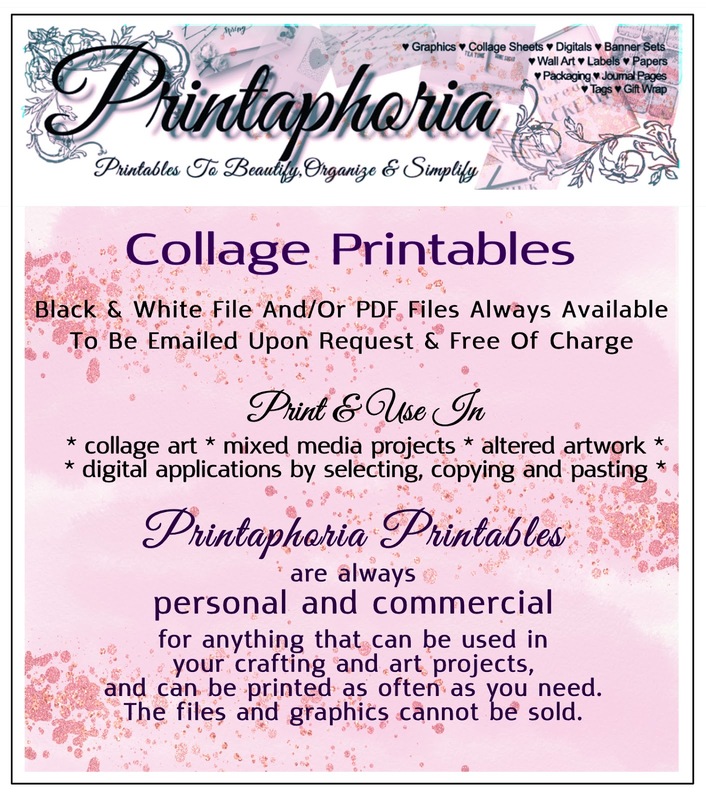 Remember that PRINTAPHORIA Printables are always PERSONAL AND COMMERCIAL for anything that can be used in your crafting and art projects, and can be printed as often as you need. 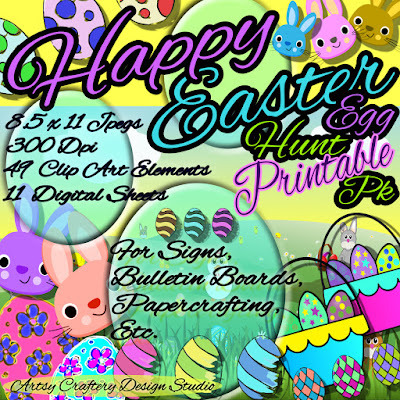 This means that you can use my printables to add to the creation of any of your own handmades that you want to sell. Of course my license does not including selling my files or printed graphics from my files. No attribution is necessary, but is appreciated whenever you can mention Printaphoria or Artsy Craftery Design Studio. Thanks for visiting The Creative Seller and Printaphoria! 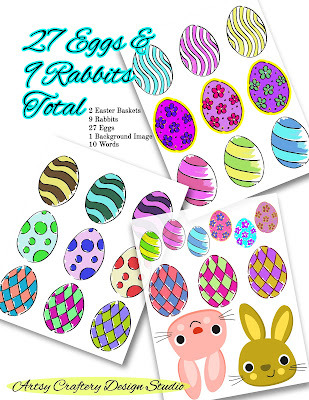 What a fun set of printables! 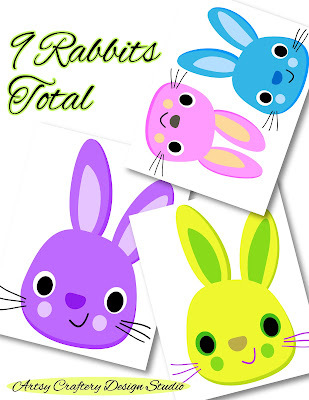 Love the bright colors and cute graphics! Thanks for linking up to Creative Compulsions! Michelle, it is fun joining your Thursday linky. I can't do many at other blogs at this time. I do want to be faithful with yours. I'm also using it to help me to post more regularly at my blog.